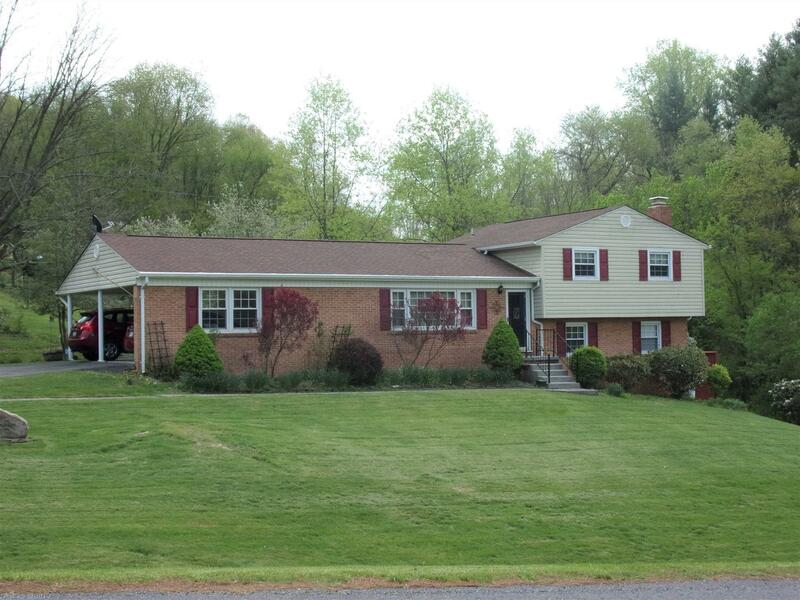 Great home directly across the street from Giles Country Club Golf Course, with views of the mountains! Roof, siding and insulation new in 2001, all stainless steel appliances - 9 yrs old when kitchen was remodeled, both heat pumps new in 2005, tilt-in windows, vented gas logs in family room, main and upper all oak HDWD flooring, basement and lower carpet and linoleum flooring, huge laundry room/crafts room/sewing room with sink & counters, separate workshop room, very nice storage shed (20X14) w/ramp & windows, attached covered carport (23 X 21) w/storage room, covered patio/porch w/recessed lighting & ceiling fans (14 X 18), 30&apos; X 15&apos; newly stained deck w/hot tub (deck, covered patio & hot tub all 9 years old), blacktop driveway, yard partially enclosed with a nice chain link fence. Directions: Rt. 460 W; 1st Pearisburg Exit, L Onto Wenonah, L Onto Fort Branch, R Onto Clifford, House On The Left.